For their debut album, the least that we can say is that GENTLE GIANT had already built a strong identity on their own. Never before a pop-rock group went so far in musical complexity and arrangements. This is mainly due to the Shulman brothers' musical past in their former R&B pop band SIMON DUPREE and to classically trained multi-instrumentalist Kerry Minnear, who incorporated advanced composition techniques. The songs are an adventurous melodic mixture of pop, rock and medieval music, with many changes and a wide palette of instruments, such as violin, flute or saxophone. Elaborated, but yet accessible. Progressive, but yet still with sixties' psychedelic elements. With its keyboard introduction, "Giant" is a powerful and catchy hard rocking opener. The soft and enchanting "Funny Ways" possesses a medieval feel immersed in a sauce of 60's psych-pop. In contrast, despite its jazzy accents, "Alucard" is rather oppressive, even a little dissonant. This track is quite repetitive and may be my least favorite of the record. Then comes the gentle "Isn't It Quiet And Cold? ", a charming and typically English ballad. Pleasant. Longest composition of the disc, "Nothing At All" is surprisingly not the most progressive. Supported by delightful acoustic guitar and chorus in the vein of SIMON AND GARFUNKEL, the song is finally a more conventional pop-rock, calm and mellow. The drum solo is good but honestly superfluous. Accompanied by a flute, "Why Not" alternates hard/bluesy rock and some medieval passages. The album concludes with "The Queen", a pretty pompous and useless cover of "God Save The Queen". Although short and containing less interesting moments, this self-titled debut already displays the members' talents and personality. 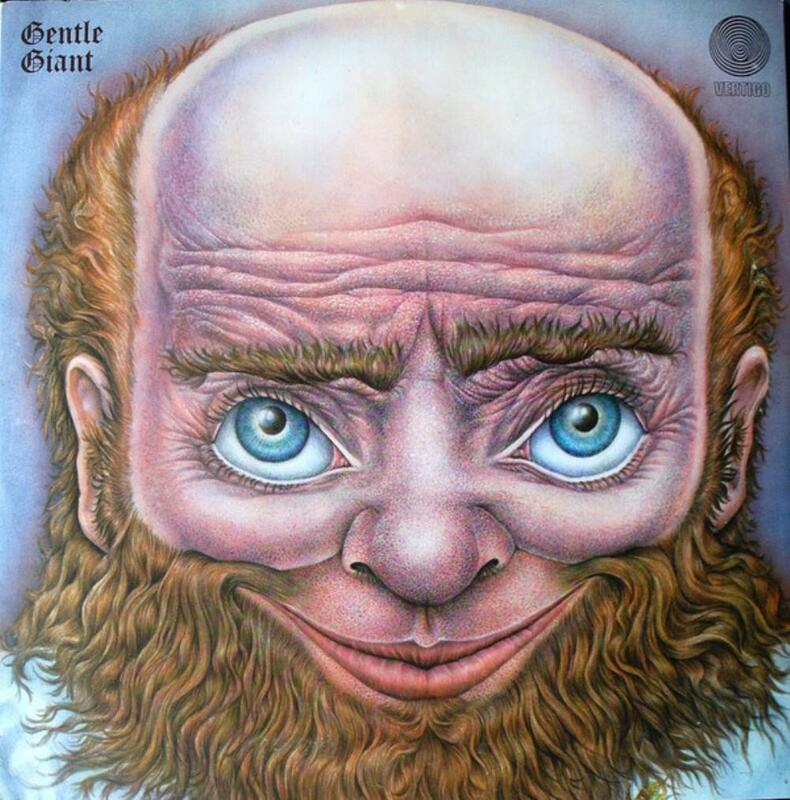 Clever and original, "Gentle Giant" was already one of the most sophisticated progressive rock release in 1970, due to the used classical music writing techniques and instruments. Not as complex as than some of their later works, this opus is probably GENTLE GIANT's rockiest. An ideal entry point if you want to discover the band, alongside the spacey "Three Friends".